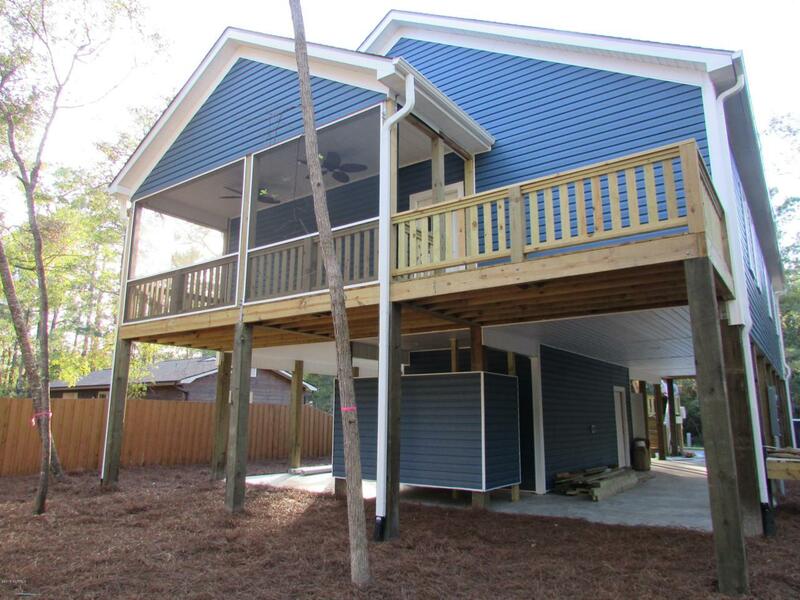 Newly constructed, piling house on the desirable West end of Oak Island is built for beach living! This home features high impact windows and doors, water-resistant luxury vinyl plank and an outdoor shower with hot and cold water for washing off the sand. 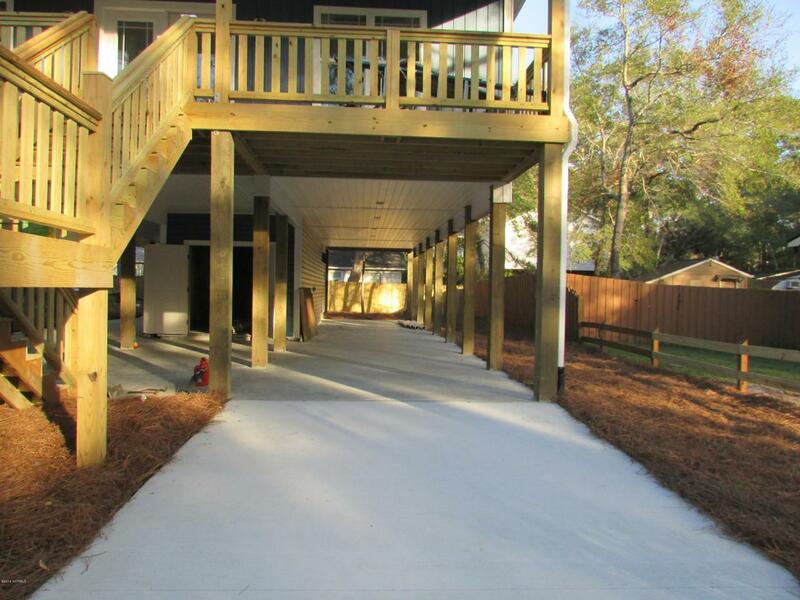 Walk out to your screened-in back porch to enjoy the evenings while grilling out on the adjoining open deck. Plenty of room in the storage unit below for beach gear and a golf cart.Warm coastal colors and beadboard wainscoting invite you into the open living room/kitchen/dining area - great for family gatherings.The kitchen features shaker-style cabinets, granite counter tops and fingerprint resistant, black stainless steel appliances. The bedrooms are equally inviting with more color and ceiling fans in each.The master bedroom features a walk-in closet, tiled shower from floor to ceiling and double vanities. Maintenance is easy with high wind vinyl siding and gutter guard. Steps away from the Intercoastal Waterway and a golf cart ride to the beach, this is a home that you'll fall in love with! Listing provided courtesy of Angela Windham of Soho Islands Real Estate Inc..